When it comes to making meals for my family, I am always looking for something pretty easy but will always taste good. That means fast cooking time and prep and low amount of ingredients. 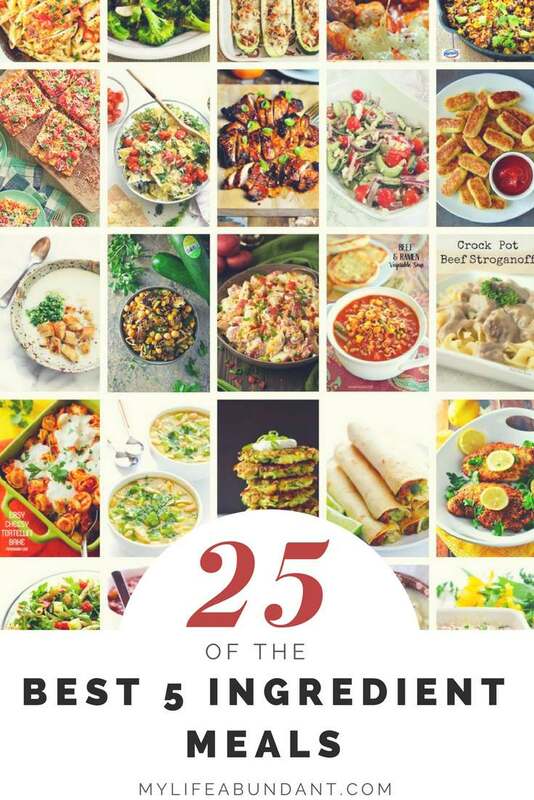 Here is a list of 25 of the best 5 ingredient meal recipes I have found and I can’t wait to try. Less is more, so let’s focus on the true tastes by using fewer ingredients. So flavorful and easy to prepare, these recipes will make weeknight dinners stress-free and delicious. Quick, easy and inexpensive is what I am always looking for. Meat recipes are a staple in many homes and I love not having to serve just a cooked piece of meat. Adding a few easy ingredients will also add to the taste and tenderness. So many kids don’t like veggies, so why not disguise them in a way that they will ask for more. For a quicker meal, try casseroles with just a few ingredients that are always found in our pantries. Throw it together, cover and place in the fridge to cook later. Looking for a lite meal. Try one of these salads with few ingredients and perfect for a hot summer day. We all love soups that can be fixed in the slow cooker or Instant Pot for a good hearty meal. Do you have a favorite 5 ingredient recipe? Thanks for the shout-out, always appreciated. It was my pleasure Kalyn. You have so many wonderful recipes to try on your website. Thanks for stopping by. Wow! so many wonderful recipes to try! Great list. Everything looks so yummy. And I bet they are also easy to make! Oh yes, I would love to try every single one of these. I love meals that can be put together without using everything and then some. 5 ingredients are just perfect if you ask me. Hi, Tammy, this is not the first time I am visiting your blog. You always stand out. Many of the items you mention here are common, comparatively inexpensive but tasteful. Appreciated. These recipes are amazing. I love the diet recipe for my diet, very light meal. I love to cook for my family. Bookmarking this blog post. Now I don’t need to make a weekly plan, will grab the recipes right from here. Thanks for sharing! This is an amazing post, it was super helpful! I love a good soup, these sound very tasty even though they are only 5 ingredients. Thanks for sharing. Wow! Definitely have the month of April planned out for meals thanks to this post. Everything sounds so darn good! I’m a working mommy. I would love to try out this 5 ingredients easy peasy recipe for my kids launch. I have actually cooked some of these recipes and they were all delicious, despite the fact that only 5 ingredients were used. My favorites are the beef stroganoff and the lemon chicken. 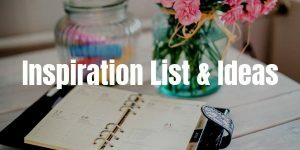 Great Post and lists. Many recipes to try out. They look delicious too!!! Mexican brown rice? Meatball parmesan? You’re making me hungry! I’ll have to give some of these recipes a try this week now that the kids are home for Spring Break. They can be a bit picky and not like to repeat meals throughout the week. These have my name all over them. Simple yet delicious and easy to make in a moments notice!